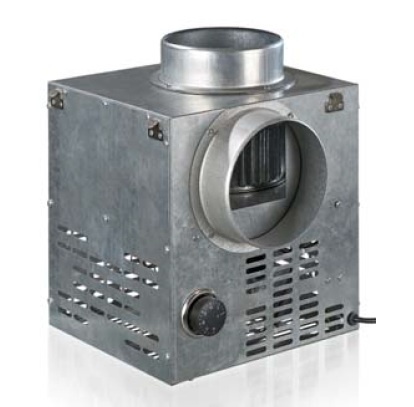 The chimney centrifugal fan ensures the distribution of warm air generated during smoking in the fireplace, which is the only or additional source of heating in the home. 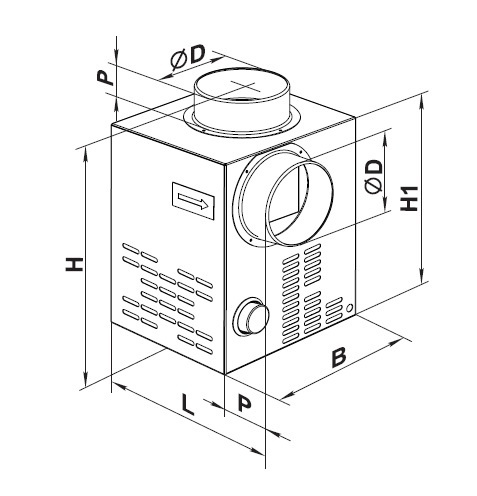 The casing is made of galvanized steel with thermal and acoustic insulation of non-flammable mineral wool. The housing in the electric rotor part is equipped with a perforation, which ensures air circulation and cooling of the fan impeller. The fan is equipped with a single phase 230 V / 50 Hz motor with built-in overheating protection. Insulation class – F.
– The KAM fan is equipped with an asynchronous motor with an additional rotor for cooling the electric motor. – The KAM EKO fan is equipped with a motor with an external rotor. 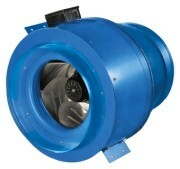 – The fan of the KAM EKO DUO series is equipped with a motor with two rotational speeds with an external rotor. – GFK – gravity valve preventing reverse flow in the installation.